Dstillery identifies patterns in consumer behavior across devices and builds custom audiences for brands. These can then be reached via IBM or Dstillery’s DSP. 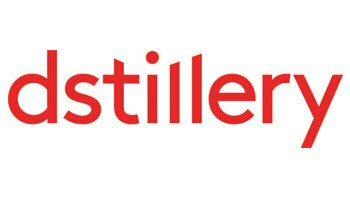 Dstillery ingests 50 billion datapoints per day to identify cross-platform audiences for marketers at scale. 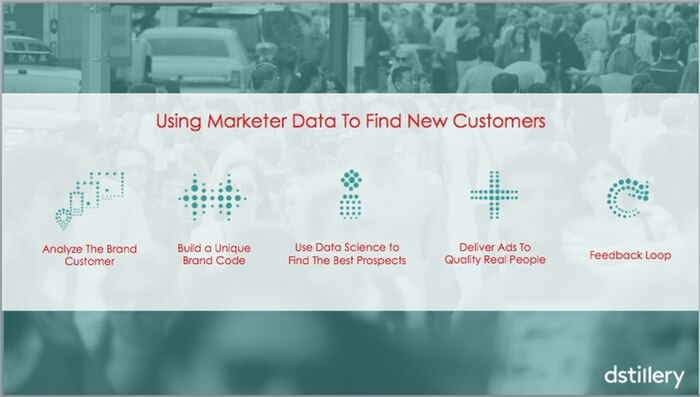 These audiences can then be targeted with brand messaging (via cross-platform RTB or IBM Marketing Cloud) or analyzed through our cross-device Insights and Analytics. All of our audiences are re-scored and ranked every 24 hours, so prospects that we identified yesterday can be removed tomorrow if their actions have proven themselves to no longer be in market. Built off your own 1st party data, &quot;Act-alike&quot; audiences are users who take the same actions as your existing customers across screens. These are refreshed every 24 hrs to ensure in-market relevance. Dstillery's Crafted Audiences are available to identify users that fit specific demographic or lifestyles. These audiences are rescored and refreshed every 24 hours to ensure true in-market relevance. Learn more about your current customers' cross-platform behavior. Where in the physical world do your site-visitors go? What are their interests, passions, and device preferences? Branded "Act-alike" Audiences: Built off your own 1st party data, "Act-alike" audiences are users who take the same actions as your existing customers across screens. These are refreshed every 24 hrs to ensure in-market relevance. 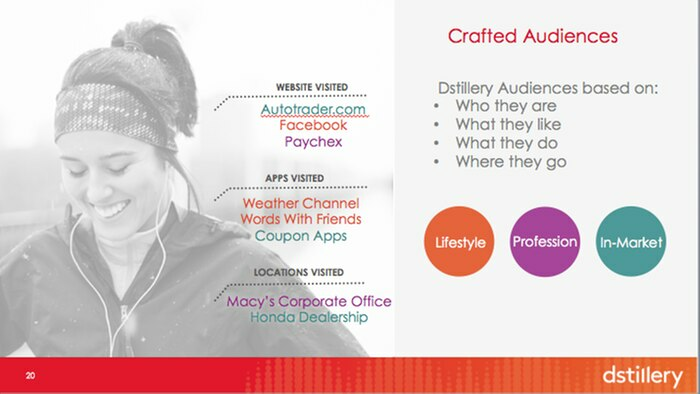 Crafted Audiences: Dstillery's Crafted Audiences are available to identify users that fit specific demographic or lifestyles. These audiences are rescored and refreshed every 24 hours to ensure true in-market relevance. 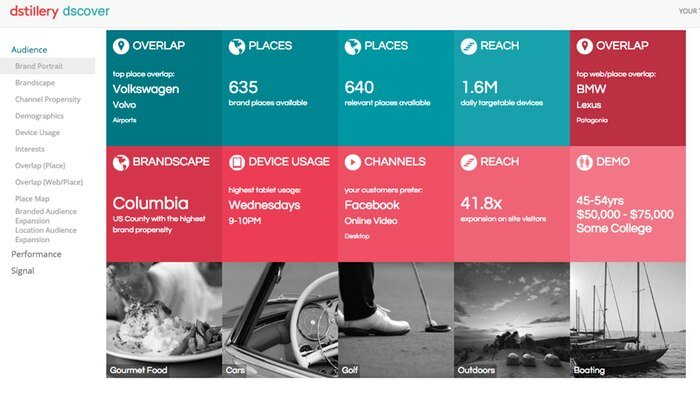 Cross-Platform Insights and Analytics: Learn more about your current customers' cross-platform behavior. Where in the physical world do your site-visitors go? What are their interests, passions, and device preferences?